Cake Smash Photo shoots are fast becoming one of the most popular sessions I run. Our little ones grow so fast and it’s a wonderful way to record their first Birthday. Little ones’ love exploring the texture of the cake and the images look fantastic hung in your kitchen or other rooms at home. 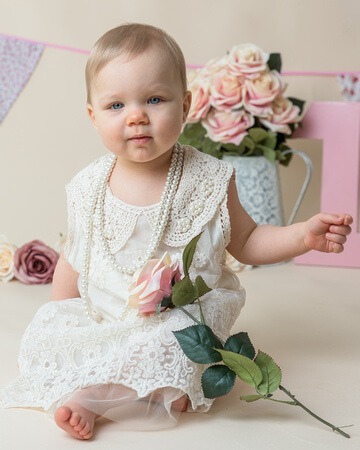 What does a cake smash photography session include? Cake Smash sessions are held in my purpose-built garden studio near Spalding, close to Peterborough, Boston and Kings Lynn. All sessions are bespoke and tailored to the individual child. When you book, I ask about colours and suggestions for a theme. The cake is made by a wonderful baker local to me who styles the cake to match the theme (and can accommodate food allergies too). Some people chose a cake smash to suit their child’s personality others opt for a more traditional theme. I have a cake smash in a couple of weeks’ time that is incorporating purple tones as the little girl’s name is ‘violet’ and a recently had a monster themed cake to match the cheeky boy’s personality. 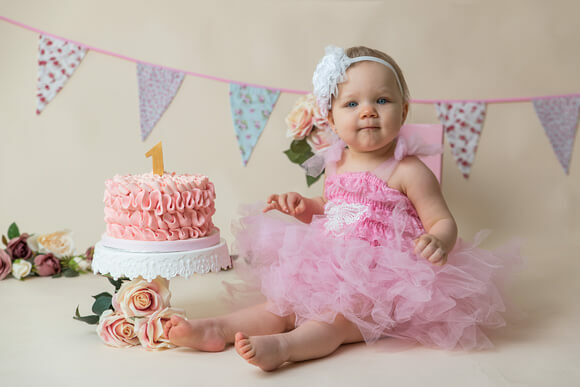 All first Birthday Cake Smash Photography sessions include a mini portrait session at the start, and a fun tub / Splash time to round the session off. These are a great addition to the cake part of the session and help create a lovely record of your baby turning one. 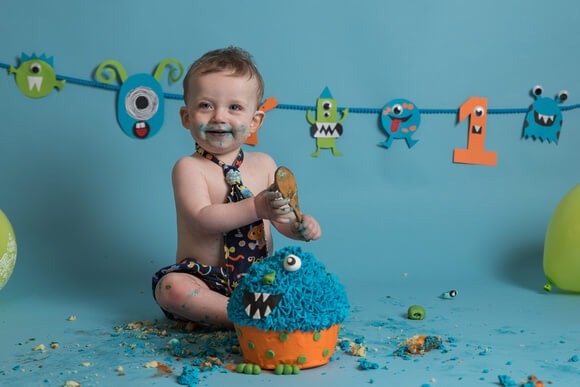 Cake Smash Photo shoots can be booked as a standalone session or as part of a milestones package to record your baby’s first year. 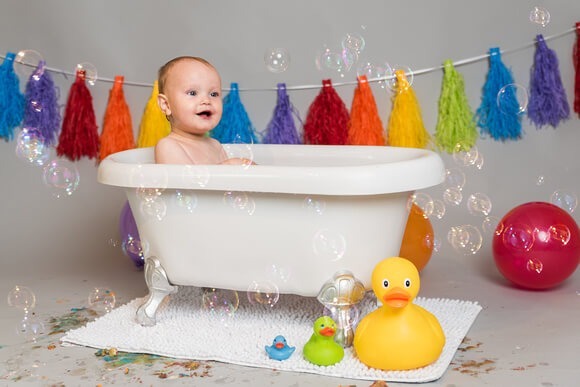 The milestones package includes a newborn photoshoot, a sitter photoshoot (around 6 – 8 months) and a cake smash session. Can I book a cake smash for my older child? 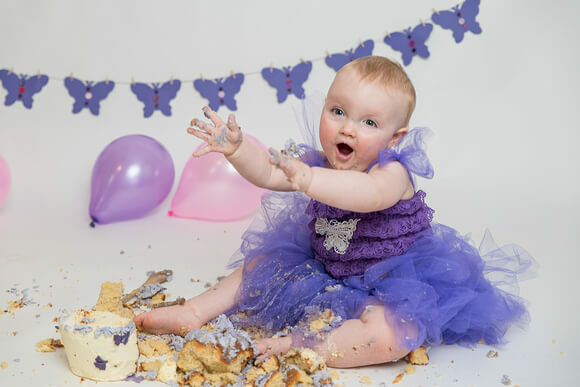 Yes, cake smash sessions can be done for any age, although 1st Birthday is the most popular. I have known adults to have them in the past to mark a ‘big’ birthday and I have even done a cake smash for a four-legged family member. If you would like to find out more or book your little one in, please contact me via the link below. I look forward to welcoming you soon for some messy cake fun.